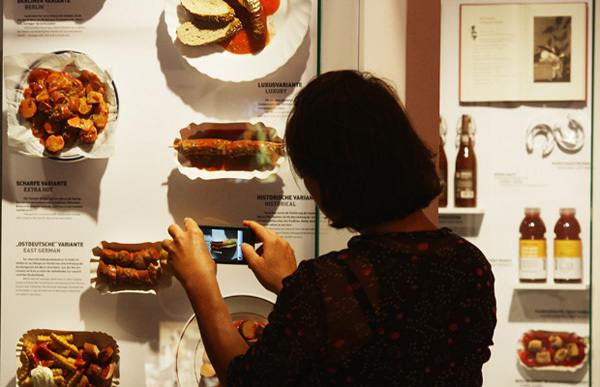 The â€œcurrywurst museumâ€�, which opened at the weekend, celebrates the iconic dish, nicknamed the â€œpoor man's steakâ€�, 800 million of which are gobbled every year in Germany â€“ a staggering 1,500 sausages per minute. Despite its name, it is not actually the sausage that is curried. The secret of currywurst's acquired taste stems from the sauce â€“ a simple but unforgettable melange of pureed tomato sprinkled with curry powder. Best munched standing up at an omnipresent outdoor snack bar, the sausage is sliced into pieces, drenched in curry sauce and served to the punter on a cardboard plate with a plastic or wooden fork, together with bread, chips or potato salad. Former US president George W. Bush reputedly once turned up his nose at it, but currywurst was ex-chancellor Gerhard Schroeder's favourite dish and Volkswagen sells more currywurst in its canteens than it does Golf cars. Love it or hate it, currywurst, explained museum director Birgit Breloh, is nothing short of a â€œsocial phenomenonâ€�. 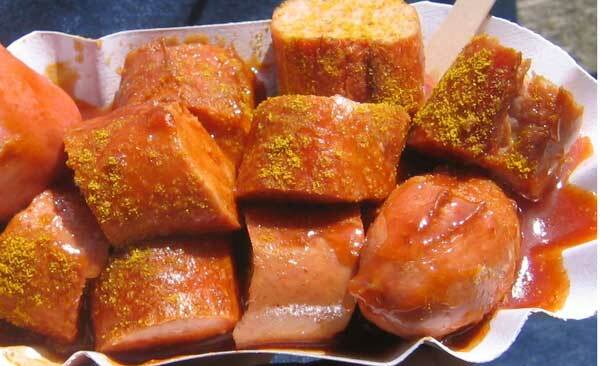 â€�Our goal was to show all the facets of the currywurst,â€� she added. Entering the museum, decked out in ketchup-red with enormous plastic drops of sauce hanging overhead, the visitor can explore the world of the currywurst with all the senses, hearing the sound of sausages sizzling and the smell of spices filling the nostrils. But for the hoped-for 350,000 visitors annually, the experience is more than just sensual, but also didactic. A mocked-up stand, for example, offers tourists the chance to see what life is like on the other side of the grill. Visitors can also snap up a â€œdon't worry, be curryâ€� t-shirt. Also explained is the controversial story of how currywurst first came into being â€“ a story that has caused much squabbling between cities down the years. Berliners insist a bored sausage seller, Herta Heuwer, created the currywurst on a drizzly September 4, 1949, less than four months after the end of the Western Allies' Berlin Airlift. Lacking clients, so the story goes, Heuwer mixed up a dash of American ketchup, a pinch of British curry sauce, a few spices and a drop of Worcester sauce and hey presto: currywurst sauce was born. But the residents of Hamburg in northern Germany also claim the currywurst for their own, with the Currywurst Club Hamburg even going so far as to accuse Berlin of re-writing the history books. Whoever first created the dish, the fact remains that currywurst is a central part of German history, which perhaps explains the museum's location â€“ right next to Checkpoint Charlie where Soviet and American tanks faced off at the Berlin Wall at the height of the Cold War. The only question remains: will tourists fork out the 11 euros ($16) for an entry ticket, or will they prefer to splash the cash on four delicious helpings of currywurst?